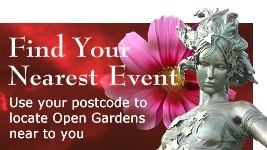 For three days you have a chance to look behind hedges and normally closed gates at a wide variety of interesting gardens, including several allotments and community gardens. Gardens come in all sizes shapes and sorts and for just this one long weekend of the year visitors are welcome to look around, get inspiration from, and quiz the gardeners, in the always popular and successful event of Frome Festival. 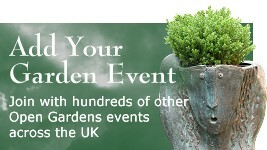 Proceeds go towards the Frome Festival and profits from refreshments go towards the gardeners' chosen charities. Some plants sales at individual gardens. 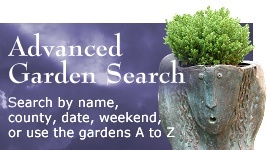 Hidden Garden programme and map costs £5.00 in advance giving you access to all gardens over three days. 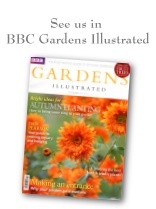 Not from individual gardens - Hidden Gardens Guide with information & map available ONLY in advance from the Cheese & Grain Box Office, Tourist Information Centre and Hoi P'loy Florist and Interiors based in Cheap Street.